K.C. 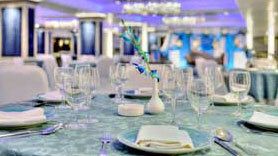 Residency has grand multipurpose banquet halls, with delightful & elegant interior and wonderful atmosphere. Be it a large meal or feast complete with main courses and desserts, Residency serves the purpose of gathering, a ceremony, or a celebration.